Fukui Prefecture is situated in the region of Chūbu on Honshū island and Fukui City is its capital. From Tokyo, it takes around 2 hours and 15 minutes by plane and about 3 hours and 40 minutes by train to get to this beautiful prefecture. Fukui has a lot to offer to travelers and tourists. After a round or two of playing golf, check out the prefecture’s many unique attractions such as the Fukui Dinosaur Museum (the best of its kind in Japan) and the 16th century postal town of Kumagawa-juku. One activity that is highly recommended that you try is the open-air bath with views over the Sea of Japan. While in an open air hot spring, you get an unrestricted view of the sea. Gaze at the sun as it slowly settles or just watch locals as they relax by the beach. Be a samurai or princess for a day and visit Ichijodani Asakura Clan Ruins, also known as the Pompei in Japan. In here they offer Sengoku-style dressing experience where they dress you in a traditional battle gear costume worn by samurai warriors or wardrobes worn by princesses. Also check out their virtual guide experience where you can view historical buildings using a tablet device. Experience the scenic Suigetsu Lake and Suga Lake of Mikatagoko (Five Lakes of Mikata) via a cruise trip. As the ship quietly travels along the waterway, savor the therapeutic and sweet breeze from across the lakes. July to August is when the prefecture hosts a number of fireworks display shows. In early July, you have the Fukui Phoenix Fireworks Display in the riverbed of the Asuwa River in Katsumi, Fukui City. This is a big event and is traditionally held to welcome the summer season. Another interesting fireworks spectacle is the Kuzuryu Festival & Eiheiji Dai Toro Nagashi, observed at the Kuzuryu River Eiheiji Riverside Park. The highlight of this occasion is a memorial service followed by the release of 10,000 lanterns into the Kuzuryu River. In April, the Hanakae Festival (Hanakae matsuri) is observed. During this special event, young men and women swap cherry twigs with each other while saying, “I’ll exchange my cherry twigs for yours, “as an expression of love and affection. Fukui is home to the delectable and tender Wakasa gyu (beef). This type of beef comes from the Wakasa cattle, which farmers painstakingly raise to produce really high quality meat with exquisite marbling. The methods of cooking that are thought to bring out the best in the beef’s flavor are Shabu-Shabu style and grilling. Echizen gani is a crab species endemic to Fukui and is traditionally harvested during the winter season. Due to the crabs’ supreme taste and flavor, it has been touted in Japan as the king of delicious winter food. Although there are many ways of preparing Echizen gani, boiling remains as the most popular. Fukui also produces Amaebi (deep-water shrimp). Ones that contain granular blue eggs typically command the highest price in markets, followed by konashi (big ones with no eggs), saburou (medium-size), and finally jami (small size). Shrimps that are caught during winter are considered to have the best flavor. For souvenirs to bring back home, consider getting Fukui ume (plums) from the Wakasa region. Aside from being delicious, they are also packed with vitamins and minerals. Fukui ume can be used to make onigi (rice balls), side dishes in bentos (packed meals), umeboshi (Japanese pickled plum), and umeshu (Japanese plum wine). The plum has been grown and harvested in the prefecture since 1830. Hotel Harvest SKIJAM Resort is situated near SKIJAM Katsuyama, one of the biggest ski resort spots in Western Japan. It has tastefully decorated guest rooms available and four restaurants that serve a variety of local and international dishes. The hotel is also conveniently located near many popular tourist attractions such as Eiheiji temple, Teramachi Dori Street and Fukui Prefectural Dinosaur Museum. Wakasa Mikata Kirara Onsen Suigekka is a charming hotel that sits on a property that directly faces placid Lake Suigetsuko. It has a total of 30 Japanese and Western inspired rooms, as well as a host of facilities and amenities such as a public bath with sauna, a table tennis corner, tennis courts, a restaurant, among others. From the hotel you can easily access nice local attractions such as the Wakasa Mikata Jomon Museum, Uriwari no taki Waterfall and the ruins of Kumagawa-juku. Fukui Prefecture has a lot of unique experiences that visitors and guests can enjoy. Lose yourself as you explore its many historic sites, hot spring inns, dinosaurs, natural wonders, castles and more. Check out the local cuisine and see local handicrafts. 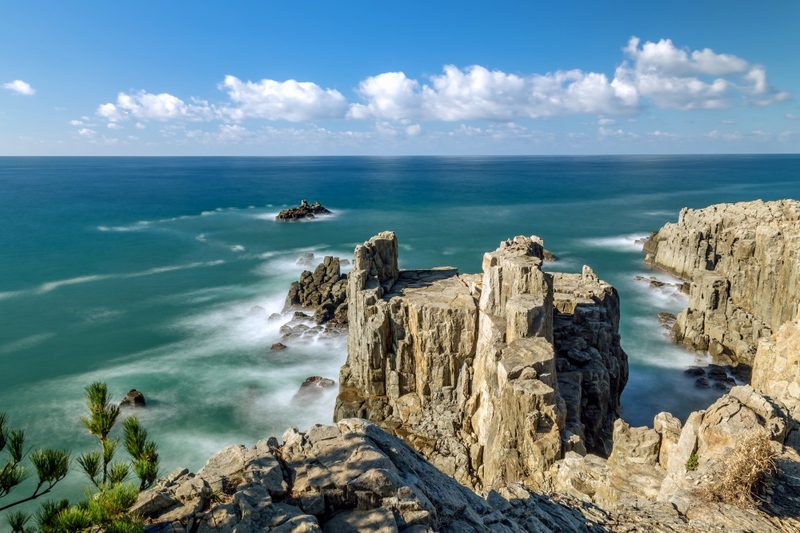 With all its wonders and mysteries, Fukui is a special place that will sure leave an unparalleled impression in you. Tokyo – From Tokyo, you can either take the plane or train (Shinkansen) to get to Fukui Prefecture. A flight from Haneda would take around 2 hours and 15 mins, while a train trip takes anywhere from 3 hours and 30 minutes to 3 hours and 40 minutes, depending on the line. Osaka – Osaka’s Hokuriku Rail Line will bring you to Fukui in 2 hours, while an overnight bus service will get you there in 3 hours and 40 minutes.